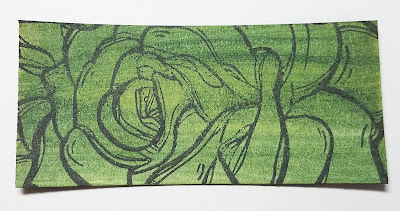 I love to use the Brutus Monroe Reinkers to watercolor with the stamps. Add a little alcohol to the reinkers and you have a little magic on your hands. 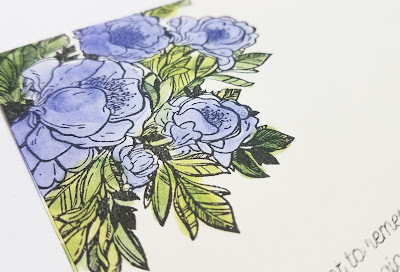 Here are 3 ideas for how to use this watercoloring technique. A fun way to get some extra use our of your stamps, and to share you stamps with others, is to do a stamp swap. 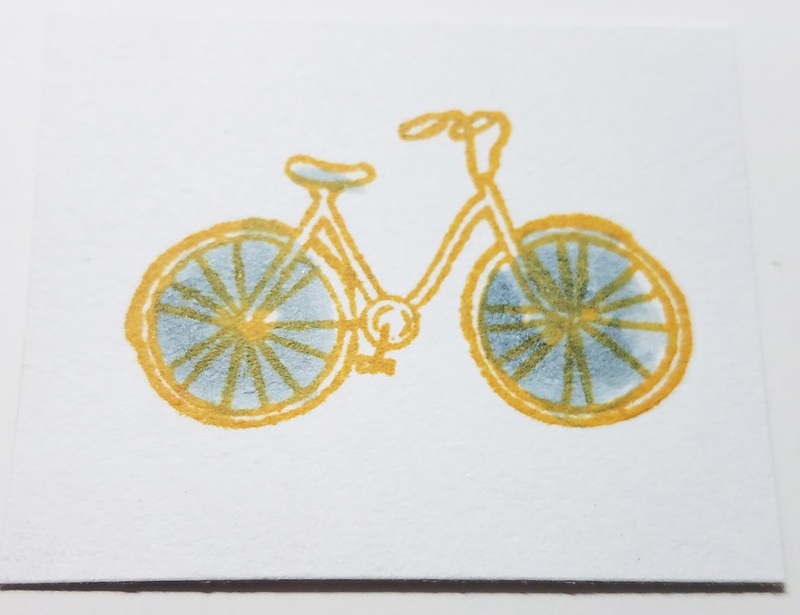 You stamp 6-15 of 2-3 stamps onto cardstock, rough cut them out and then trade with others for a swap. 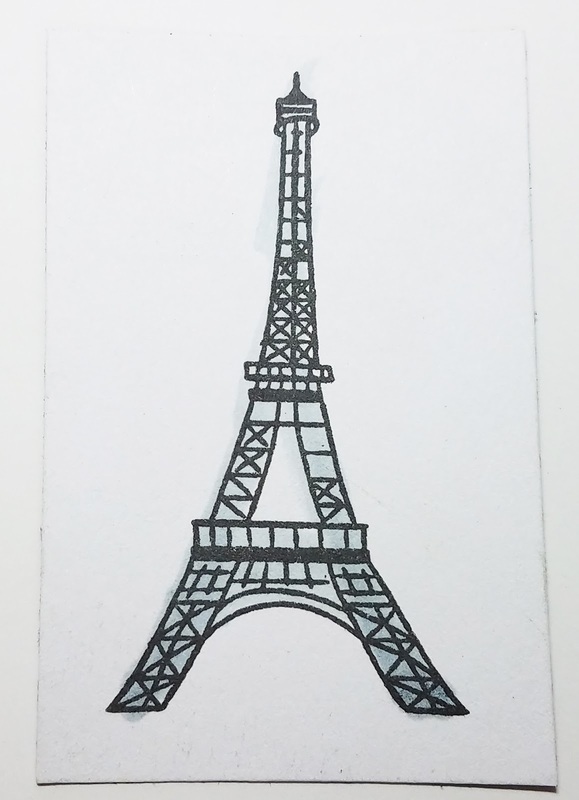 I chose to do fun stamps that could be used in lots of different projects such as a little bicycle and Eiffel Tower. For both of these stamps I took a little of the reinker in Locomotive and colored them in to create a little bit of depth. Here is a video on how I created these 2 stamps swaps. 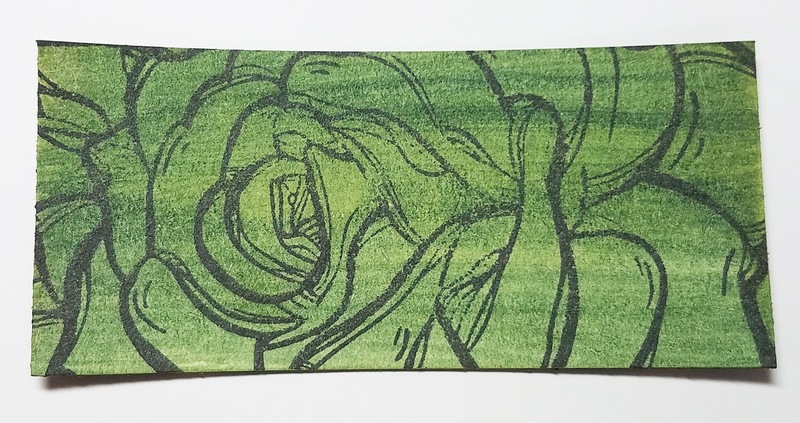 Another idea is to take a stamps that is a background stamp and create a set of borders for future use. 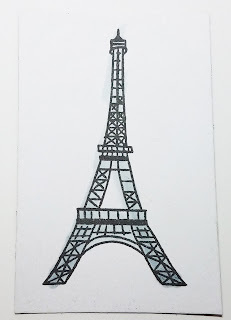 You can also use this exact same project and make it a bookmark. 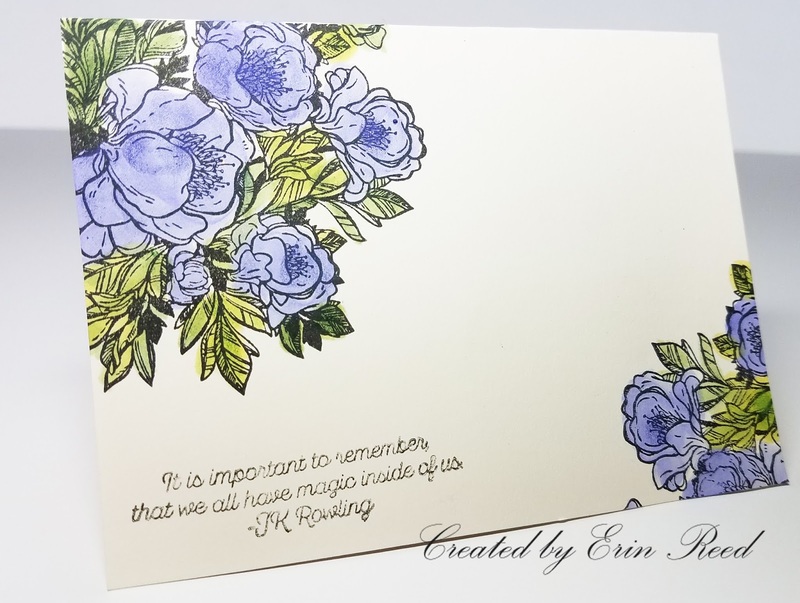 For each set I stamped the paper with Raven ink and then used various colors of reinkers to color in the flowers shapes within the stamp For even more fun use varying shades of a color to make it have more depth and interest. Here is a video tutorial on how to make these fun borders. 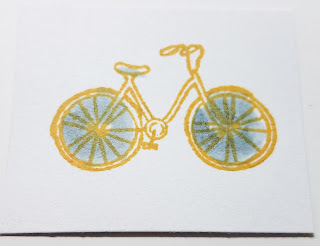 I love to make cards, and the easiest card to make is a pretty stamp with a little color in the details of the stamp. Flowers are the simplest to watercolor as they beg to be in different shades of a color and imperfections looks amazing with them. Stamp a pretty floral stamp in the corners with a simple sentiment on a plain white card and you have a beautiful card every time! Here is a video tutorial on how to make this card. I hope you find these idea helpful and useful. Thanks so much for stopping by!